To inspire and enable all young people, especially those who need us most, to reach their full potential as productive, responsible and caring citizens. Boys & Girls Clubs build character through everyday leadership and guidance in behavior and attitude. Young people of all ethnicities, races and creeds join together in wholesome recreation and leadership. Trained professional staff provide positive adult mentors and role models. Nationally recognized programs help young people succeed in school, stay healthy, learn important life skills, pursue interests in the arts and sports, and explore vocational choices. Most importantly, the Boys & Girls Club shows youngsters that someone cares, wants them to realize their full potential and to BE GREAT! 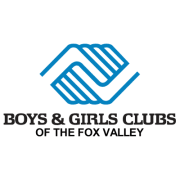 Would you recommend Boys & Girls Clubs of the Fox Valley?